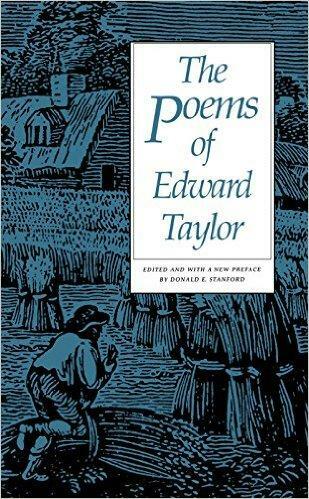 Although he was born in Leicestershire in England in 1642, when the monarchy was restored after the Civil War Edward Taylor sailed to America where he became one of its foremost colonial poets. 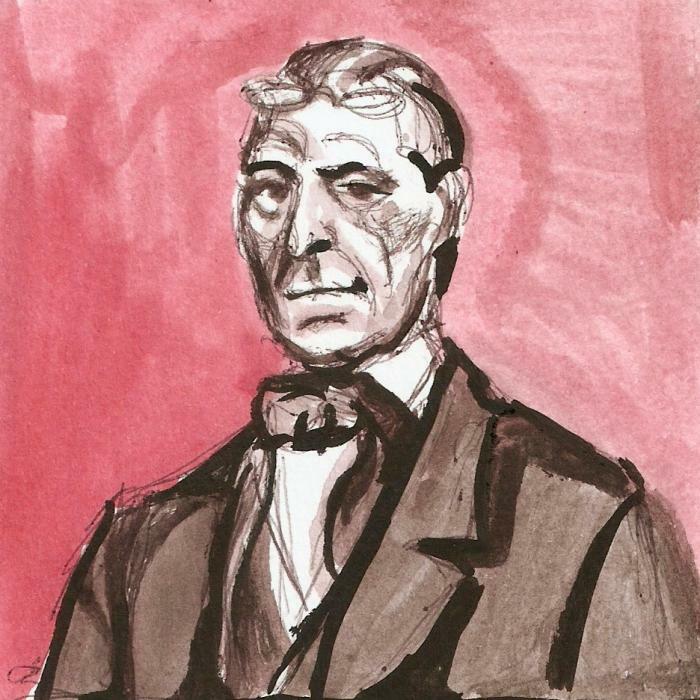 He was a puritan at heart and served as a minister in Massachusetts for nearly fifty years. He grew up during the upheaval of the Civil War in England but by 1650 things were a lot more settled and he lived a prosperous childhood on a farm in the midlands. His protestant background in the time of Cromwell stood him in good stead as he turned to a life of teaching. When Charles II was restored to the throne, the Act of Uniformity came in and Taylor refused to sign it which meant he could neither teach nor preach. 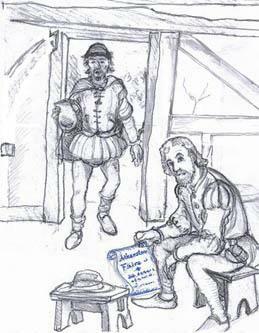 In England he was already writing verse and his work already exhibited his closeness to the protestant way of thinking, berating maypole dancers for their pagan inferences and, in The Lay-Man’s Lamentation, decrying the Act of Uniformity and praising the preachers who chose to oppose it. Unable to stay in England, Taylor left for Massachusetts in 1688, a 70 day journey by sea that saw him docking in Boston and beginning his new life. He started by working at Harvard as a college butler whilst giving lectures and studying the Greek classics, metaphysics and logic. 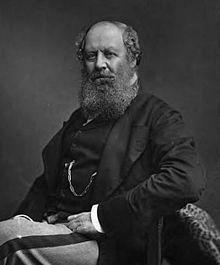 At this time he wrote a number of elegies, most notably to Richard Mather and Charles Chauncy. 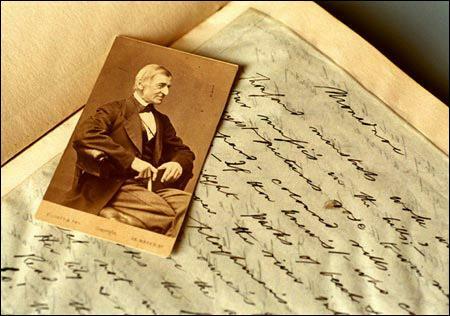 He was a fan of acrostic poetry where the first letter or word of each line spells out a particular message. Taylor graduated from Harvard in 1671 and was going to become a resident scholar when he was offered the chance of becoming a minister again, this time to a small farming community in Westfield. He undertook the journey of nearly a hundred miles at the dead of winter when the snow lay heavy on the ground and he remained in the town for the rest of his days. There he met and married Elizabeth Fitch with whom he would have 8 children, five of which would die before they reached maturity. War with the Indians broke out in 1675 and Taylor wrote little at this time, as King Philips, the Indian chief, fought with local farmers. When King Philip was killed two years later, Taylor returned to setting up his church for the people of Westfield and began to write again. In 1682, he wrote his epic Gods Determinations touching his Elect which was a polemic that he may well have used to convince some of his parishioners of the value of coming to God, including as it did several passages that suggested past sins didn’t necessarily mean you wouldn’t be granted entry into heaven. Much of his work, such as Upon the Sweeping Flood, is religious in nature and was typical of puritan writers of the time. He was fond of what some call domestic diction, spinning it carefully with more high blown and complex conceits and he wrote around 200 meditations that were gathered together in his work Preparatory Meditations before my approach to the Lords Supper. 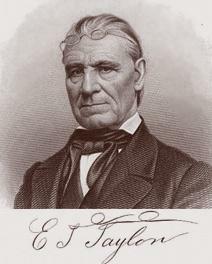 Taylor, although growing old and feeble, continued to write prolifically until the end. He died in 1729 at the age of 87 and was buried in Westfield.